We are proud to have been approved for full national accreditation by the North American Commission on College and University Accreditation (NACCUA) on March 12, 2017. 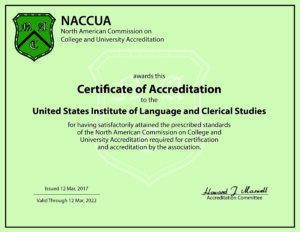 Since 2015, NACCUA has been located in Chicago, USA and has been actively engaged in the highest standards of academic accreditation. NACCUA utilizes and is in full compliance with, the accreditation standards as set by the United States Department of Education 34 CFR 602.16 as adopted July 1, 2012. The Southern Association of Colleges and Schools is a Regional Accreditation Agency approved by the US Department of Education. 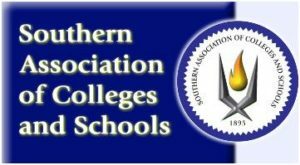 The Southern Association of Colleges and Schools™ was founded in 1985 and is currently comprised of the Council on Accreditation and School Improvement (CASI) and the Commission on Colleges (COC). The Commission on Colleges was founded in 1912 and was organized to develop standards and a process for accrediting colleges and universities in the South. We are proud to be listed as an approved institution with the State of Florida Department of Education. Click here to view our latest listing.